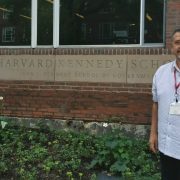 NeighborWorks America selected Pete Upton, executive director of Native360 Loan Fund Inc., was one of 45 leaders for the NeighborWorks Achieving Excellence Program at the John F. Kennedy School of Government at Harvard University. 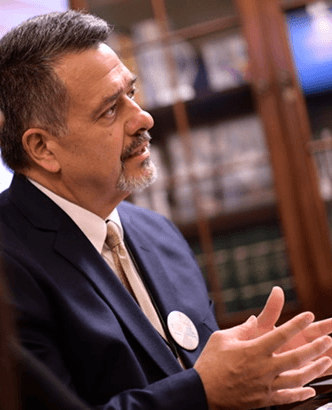 The NeighborWorks program, sponsored in part by the JPMorgan Chase Foundation, is an 18-month program that provides executives with skills to advance their organizations’ performance. Each participant identifies and clearly defines a specific challenge critical to their organization’s success then spends the program addressing that challenge. Achieving Excellence includes three formal sessions at Harvard’s John F. Kennedy School of Government, as well as one-on-one executive coaching and intensive peer learning. The program kicked off at Harvard Sept. 11-15, and three additional meetings are planned across the country. Between academic sessions, participants worked on a goal critical to their organization’s success and worked closely with their executive coach and peer group. Achieving Excellence has graduated nearly 400 executive directors, CEOs and other senior leaders since the program began in 2002. Independent evaluations have shown positive results for organizations that have participated in this program. 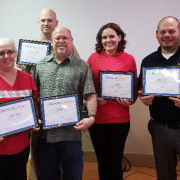 In an impact evaluation of a recent class of the NeighborWorks Achieving Excellence Program, 72 percent created positive change in their communities, 77 percent raised staff performance and morale, and 100 percent improved organizational strength and results. For more information about the NeighborWorks Achieving Excellence Program, go to www.neighborworks.org/ae. 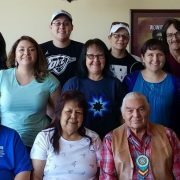 About Native360 Loan Fund Inc.
Native360 provides affordable financial services to members of all tribes in Nebraska, Iowa and southeast South Dakota. 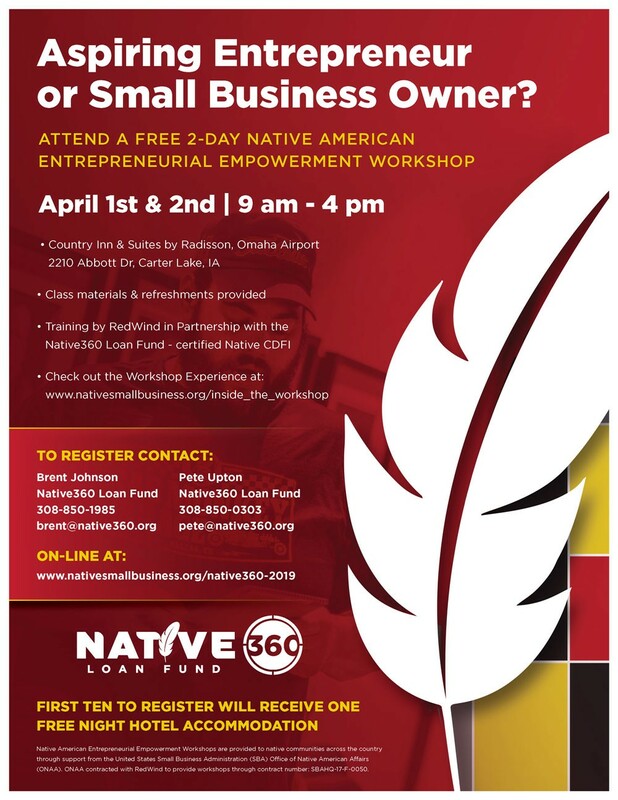 It provides affordable credit, capital, technical assistance and related programs to help build strong and self-sufficient Native American business owners. For nearly 40 years, Neighborhood Reinvestment Corp. (d/b/a NeighborWorks America), a national, nonpartisan nonprofit, has created opportunities for people to improve their lives and strengthen their communities by providing access to home ownership and safe, affordable rental housing. In the last five years, NeighborWorks organizations have generated more than $34 billion in reinvestment in these communities. 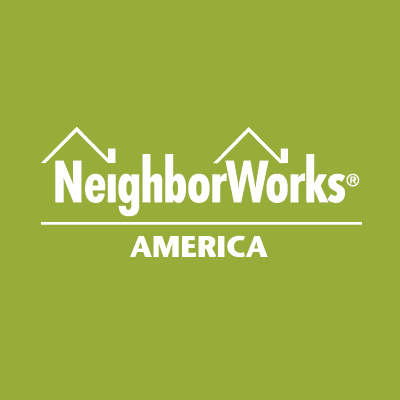 NeighborWorks America is the nation’s leading trainer of community development and affordable housing professionals. 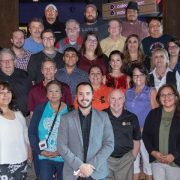 Native360 Loan Fund Inc., is one of 19 Community Development Financial Institutions (CDFIs) to receive lending capital and grants from the Wells Fargo Works for Small Business Diverse Capital program. Recipients were announced Dec. 6, 2018. 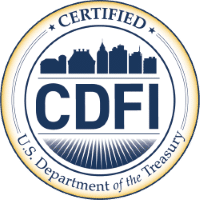 Funds are used to deliver affordable financial products and technical assistance to diverse small businesses that do not typically have access to conventional financing. As part of its announcement, Wells Fargo said it wanted to be more inclusive of rural communities as well as their urban counterparts. 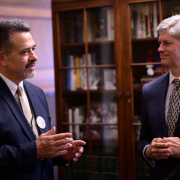 “Rural small businesses and their diverse owners have different challenges than their urban counterparts, and we want to be part of a solution that helps remove those obstacles to growth,” said Mike Rizer, director of community relations at Wells Fargo. 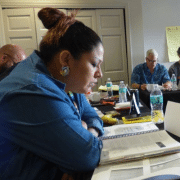 Native American Entrepreneurial Empowerment Workshops are provided to native communities across the country through support from the United States Small Business Administration (SBA) Office of Native American Affairs (ONAA). ONAA contracted with RedWind to provide workshops through contract number: SBAHQ-17-F-0050. Our entrepreneurial workshop was held at the Hard Rock Hotel & Casino, Sioux City on September 20th & 21st. The workshop was designed for start-ups or small business look to expand. The training provided comprehensive information indispensable to entrepreneurs and covered topics such as business models, planning, access to capital, marketing, basic bookkeeping, break-even analyses, and problem solving. This is a nine lesson course based on simple money-management strategies. We discuss the basics of saving, budgeting, dumping debt, planning for the future and much more. We conducted three financial peace university classes this past year. Our Omaha classes graduated November 13th, 2017 & March 5th, 2018 and our Norfolk Class October 30th, 2017. Our course covered saving, relating with money, creating a cash flow plan, reducing debt, buyer beware, insurance, retirement and college planning & real estate. 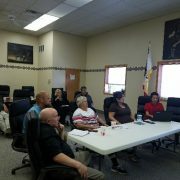 This 5-Part Series was held at the Northern Ponca Housing in Norfolk, NE. 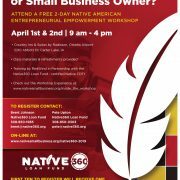 Our entrepreneurial & small business series was developed for Native start-ups or existing business. Our team of professionals offered assistance in business plan preparation, accounting, taxes, legal, marketing, social media & employee training and development.